Our mobile load bank 700 KW. Flexible use for your emergency power system, emergency power supply or UPS systems up to 0,7 MW. WA Notstromtechnik GmbH has several mobile load banks for full load testing of generator systems with a capacity of up to 2,5 MW. These systems can be used to examine and test load banks from all manufacturers. In many cases, generator systems or UPS systems can not be operated with their nominal load or be loaded with a load at all. This applies, for example, to rented emergency power plants and large-scale server stations. However, load tests with full utilization are stipulated by law (VDE 0100 part 710 in conjunction with DIN 6280 part 13) and must be carried out and recorded at regular intervals in order to ensure the functionality of the system in an emergency. At this point, we can recommend the mobile version of our 700 KW load bank. 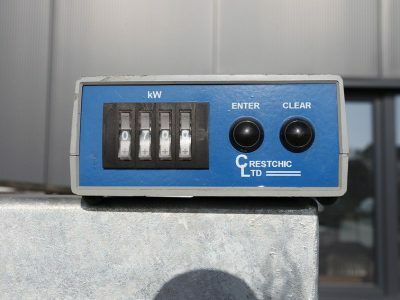 With this one, our customers have the opportunity to test their emergency power supply on-site with very little effort. The load resistance is gradually loaded according to the manufacturer’s specifications to 100% of its emergency power system or UPS system. After the test run, you will receive a test report in which the actual performance of the system is documented. The system is thus proven to be tested, ready for use and safe. For emergency power systems, proof of the 110% load can be provided.